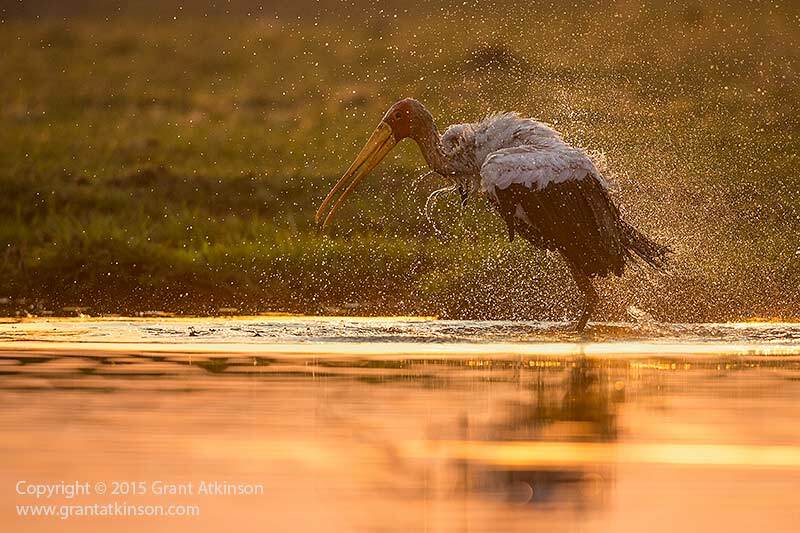 In October 2016 I will lead a private group of photographers into two of Botswana’s premier wildlife areas – The Selinda and the Chobe. 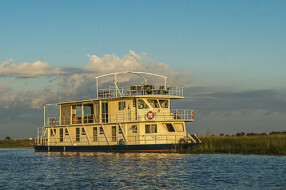 This safari includes five days in the Selinda Concession and three days exploring the Chobe River on a luxury houseboat! 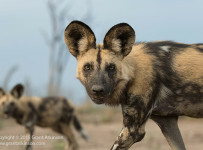 These are some of Botswana’s top destinations when it comes to wildlife safaris and we are running this trip during what is arguably Botswana’s best game-viewing season. 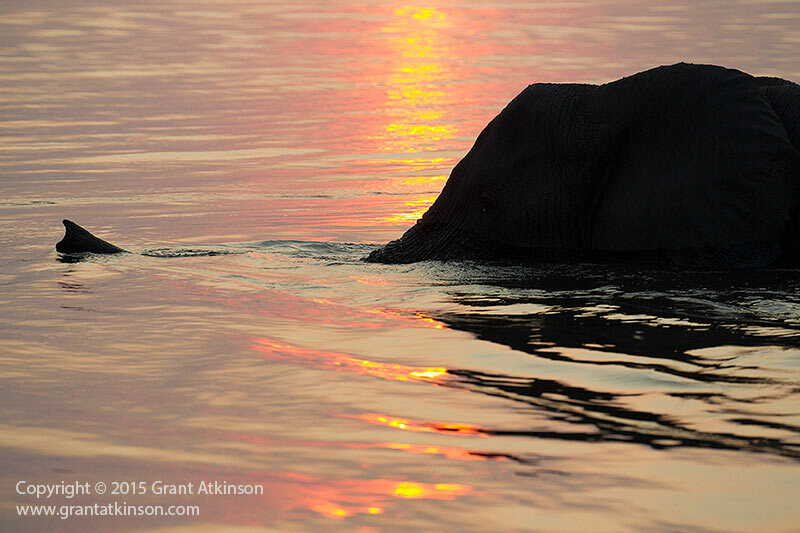 The latter half of September and all of October is northern Botswana’s dry season and much of the wildlife, particularly elephants, gather along the permanent waterways. 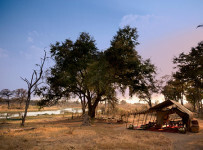 We focus our safari around these two perennial rivers to take maximum advantage of dry-season wildlife concentrations. We have carefully chosen two quite different locations that together offer a wide variety of wild subject matter. 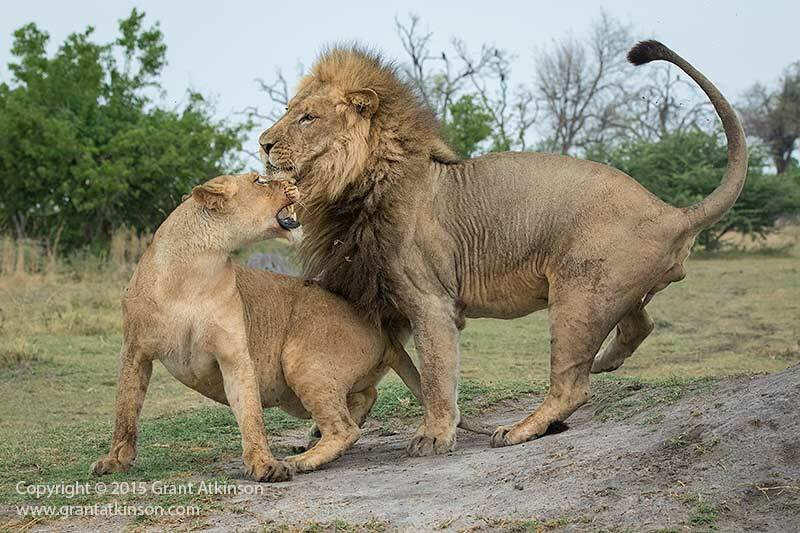 Our time in the Selinda will be spent mostly doing game drives in search of some of the charismatic animal species that the area is known for including lions, leopards, elephants and African wild dogs. 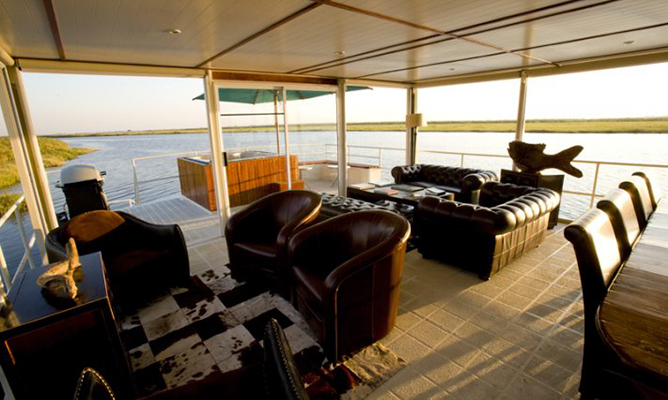 On the Chobe River, we will make use of the extreme flexibility and comfort provided by a luxury houseboat for our base. Our excursions will be made in special photographic boats. 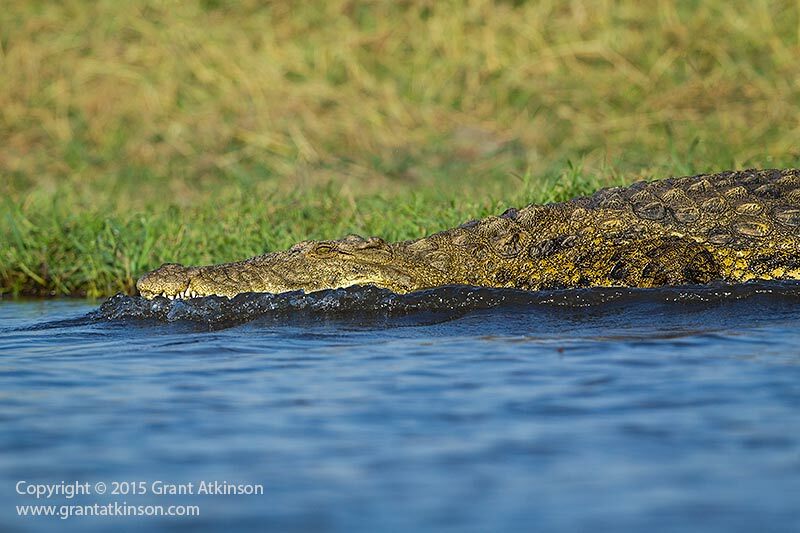 The Chobe is well-known for offering some of the best photographic opportunities for elephant, hippo, Nile crocodile and a myriad of bird species. 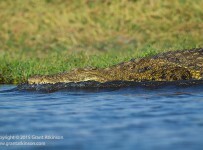 The timing of the trip means that a large number of water-dependant species will be close to the permanent water sources, two of which are the Selinda Spillway and the Chobe River. 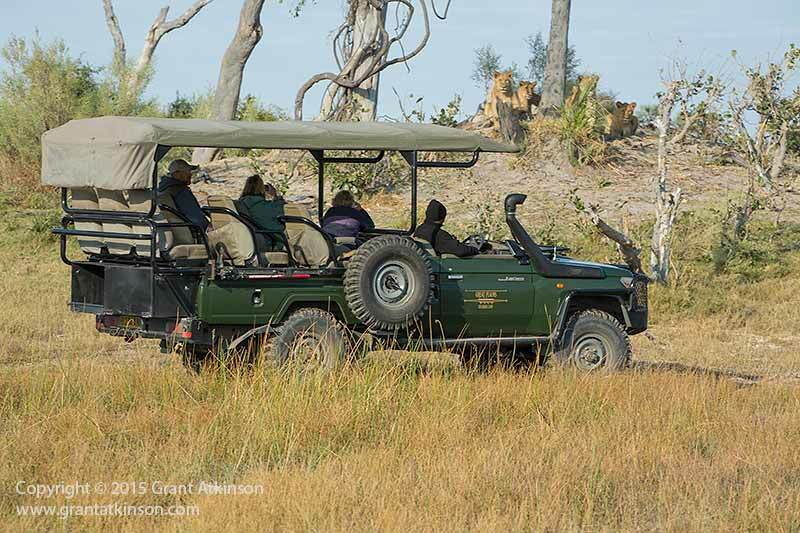 We will have private Land cruiser game-viewing vehicles at Selinda, with only 1 person per row of seating (the vehicles have 3 rows behind the driver, plus a seat next to the driver if you want to be lower down to the ground). An increased luggage allowance so you can bring all your camera gear – up to 80 pounds per person allowance on the in-country charter flights. Standard weight allowance is typically only 44 pounds by comparison. Specially designed photographic boats have individual swivel seats, with mounts for our cameras attached to each chair. The photo boats enable us to make quiet approaches from interesting angles. The Chobe River is perhaps the best place to get up close to a wide variety of interesting bird species, including African fish eagles, storks, kingfishers and colorful bee-eaters. 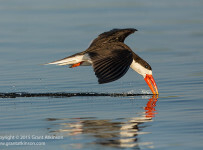 The rare African skimmer also breeds on the Chobe River at this time of year, and with some good fortune, we may be able to photograph these striking and graceful birds. Stay close to the airport at the D’oreale Grande at Emperor’s Palace. On your arrival at Johannesburg’s OR Tambo International Airport, and after clearing customs and collecting your luggage, you will be met by an Eyes on Africa representative, who will transfer you by road to the D’oreale Grande. We’ll meet late in the day at the hotel’s restaurant and get to know each other over dinner. 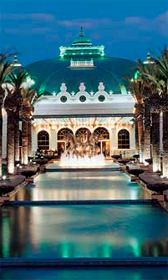 The D’oreale Grande at Emperors Palace is a five-star hotel, luxuriously adorned with hand painted murals and frescos, marble floors, plush carpets, and intricate mosaics. 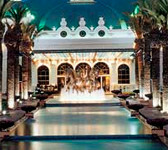 The hotel was recently accepted as a member of Great Hotels of the World – Luxury Collection. The D’oreale Grande features 196 beautifully designed and impeccably appointed rooms and suites that are fitted with plush, state-of the-art facilities. The hotel’s comfort levels are enhanced by superior levels of service and guest relations. All rooms incorporate air-conditioning, multi-channel satellite TV, complimentary wireless internet access (Wi-Fi) and the convenience of 24-hour room services. Guests can dine at the elegant conservatory-styled Aurelia’s restaurant, meet or relax in private conclaves of the reception area, absorb the gentle strains of the piano in the Aurelia’s Lounge and Cocktail Bar, or sip on a cocktail while watching the African sunset from a lounge or cocktail bar in the manicured and terraced gardens of the hotel. 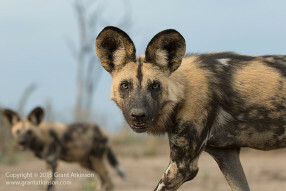 The group will transfer back to OR Tambo airport the next morning, where we catch our scheduled flight to Maun, Botswana. After arrival in Maun, we collect our bags and check-in for our light aircraft flight to Kasane, Botswana on the Chobe River. 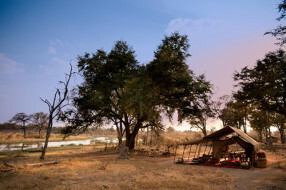 From there we will be met and transferred by road (15 minutes) to the jetty for pick-up by the Zambezi Voyager luxury houseboat – our base for the next 3 days. 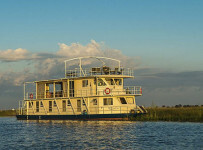 The Chobe River is famous for its wildlife. By choosing the luxurious Zambezi Voyager as our base, we are able to avoid the busiest parts of this popular waterway. The Voyager will moor each night right on the northern bank of the river, allowing us to enjoy the views and solitude of the river long after most other day-visitors have had to depart the park. 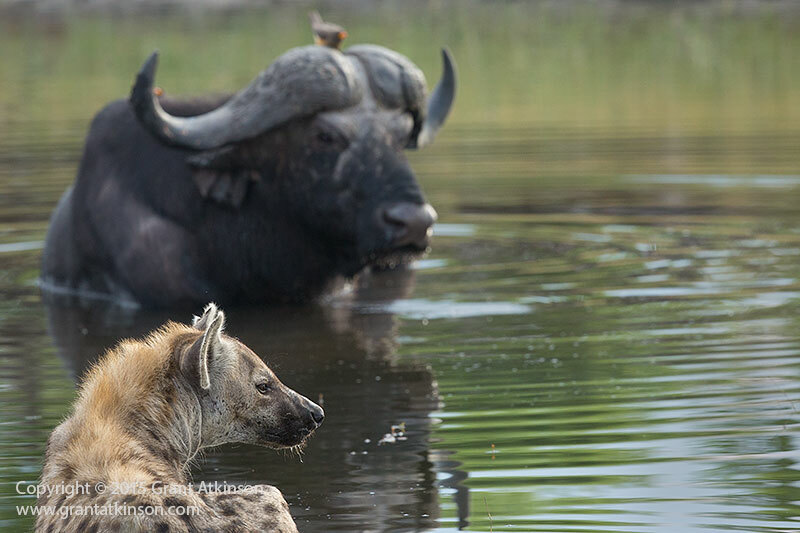 For our game viewing, we will make use of two specially-designed photographic boats that have swivel seats and configurable camera and lens mounts that are completely state of the art. Aside from providing superbly stable and responsive mounts, the boats’ shallow draught will also enable us to access shallow water easily and to make near-silent, drifting approaches to our subjects. 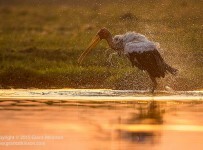 When it comes to special birds, the Chobe doesn’t disappoint. Our safari is timed to coincide with the breeding cycles of several species, including the rare African skimmer. Each year a handful of these striking birds attempt to raise their chicks on some of the river’s exposed sandbanks. Some of the other birds that abound in the area are African fish-eagle, African marsh harrier, giant, pied and malachite kingfisher, yellow-billed storks and white-fronted and carmine bee-eaters. 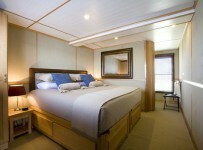 Houseboat details: The lower deck features five en-suite cabins that can be configured as either double or twin berths. 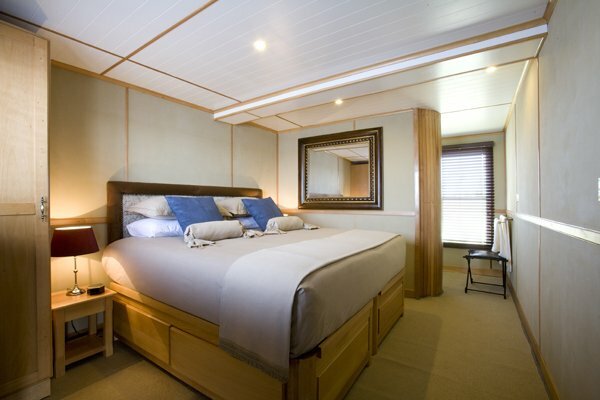 The well-appointed cabins are tastefully decorated with solid African rosewood furnishings. Handmade Egyptian cotton linen is used on the custom-made mattress for your comfort. All the cabins have built-in cupboards, a safe, a cooling fan and mosquito repellent, and all the windows are mosquito-proofed. The en-suite bathrooms feature showers, with complimentary biodegradable shower gel, shampoo and hand wash from Maria Garcia. A touch of old-world elegance is evident in the dark rosewood trim, and brass fittings and fixtures. The lounge and dining areas are located on the middle deck. This area can be opened on three sides, affording panoramic views for watching game. The large dining table is the center-point for the four daily meals from our seasonal menus, provided by our on-board chef. The open-air top deck offers sun loungers, chairs and tables, ideal for viewing the river surroundings, relaxing and enjoying sundowners, or for an evening of unforgettable stargazing. 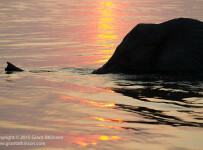 On our last morning we will transfer back to the Kasane jetty where we will be met and driven to Kasane airport in time to connect with our light aircraft charter flight to Selinda (45 minutes). On arrival at Selinda airstrip after our flight from Kasane, we will be met and transferred to our camp (a short game drive in open Land Cruisers). 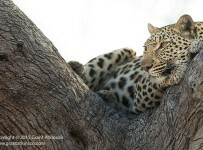 Our group will have the use of private driver-guides and vehicles throughout our 5-day stay at Selinda Explorers Camp and we will set our own hours and schedule to allow us to take full advantage of photographic opportunities. 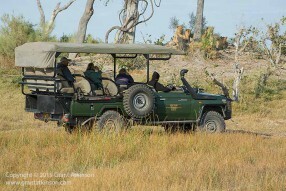 We have chosen to stay at Selinda Explorers for a variety of reasons. Perhaps the foremost of these is the wide variety of wildlife for which this region is known. 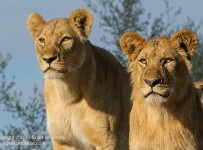 Lions roam this area and have done so for a long time. We might expect to come across them in any of the different habitats that make up this diverse concession. 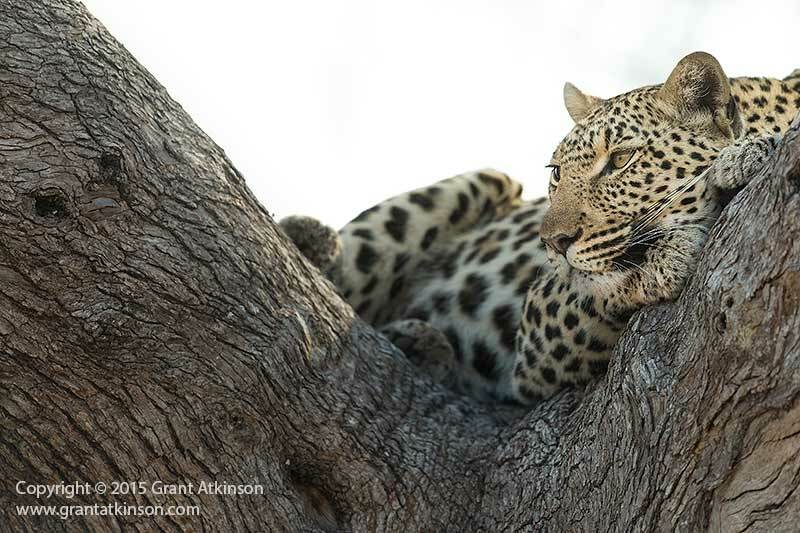 Leopards also occur here and favor the ribbons of riverine forest that line the waterways, but they can be found almost anywhere. Aside from these two charismatic cats, Selinda also provides ideal habitat for African wild dogs and over the last five years or so, the wild dogs have denned with success here. 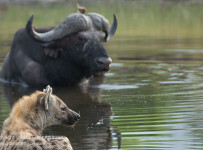 Spotted hyena are also present and add still more to the variety on offer. Camp details: The camp is located on a remote stretch of the Selinda Spillway, close to the heart of the pristine 320,000-acre private Selinda Reserve. 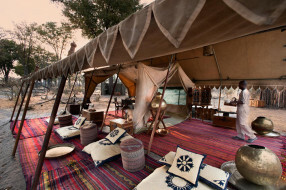 The camp accommodates a maximum of 8 guests sharing in 4 tents plus an additional guide’s tent as required. 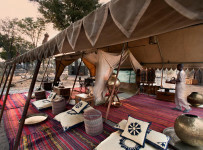 Under a canopy of towering jackalberry and mangosteen trees, the four custom-designed tents embody the philosophy of exploration, sitting squarely on the earth, connecting guests directly with the pulse of the wild. 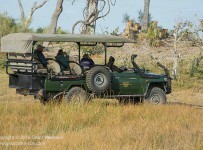 They’re spacious and stay true to the classic age of safari, when the journey was more important than the destination. Hot water for the bucket shower is brought to your tent on request, and should the hopeless romantic in you prove to hard to resist, brass hipbaths could be portered to a nearby sandbank on the edge of the Selinda Spillway for a bath like no other – it doesn’t get more spectacular than that! This morning we will transfer by light aircraft to Maun airport, Botswana, in time to connect with our scheduled flight back to Johannesburg. NOTE: Air travel and Customized extensions to this safari, including Johannesburg, Cape Town, Victoria Falls and other destinations may be arranged through Eyes on Africa as desired. Ask us for further information. The cost of this all-inclusive safari is $9,710 per person. This fee includes all in-country ground and air transportation as well as all accommodation (double occupancy) and all meals. Due to the limited number of spaces available, if a solo guest is willing to share a room and we can match with another guest of the same gender, we will do so. If this trip fills, then no single rooms/tents will be available as we have taken all rooms at both Selinda and the Zambezi Voyager houseboat. 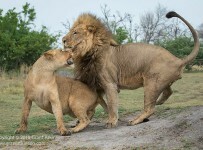 This safari starts in Johannesburg (October 04) and ends in Johannesburg (October 13). The costs of the commercial flights from Johannesburg to Maun (Sep 26) and the flight from Kasane, Botswana back to Johannesburg (Oct 05) are INCLUDED in the trip price above. We will arrange for these flights for you and you will only be charged when ticketed. Gratuities for guides and camp staff are recommended to be paid in cash. Scheduled commercial air flights from Johannesburg, South Africa to Maun, Botswana and Kasane, Botswana back to Johannesburg. Private air charters from Kasane to Selinda and Selinda to Maun, Botswana. Additional luggage allowance on the flights / air charters within Botswana (35kg allowance per person). Note that excess luggage fees may be charged on the commercial flights. These costs are the guest’s own responsibility and can be paid using credit card at the airport at check-in. 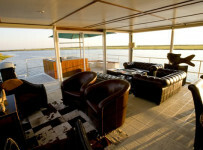 Private Luxury Houseboat and private game-viewing boats for river safaris on the Chobe River. 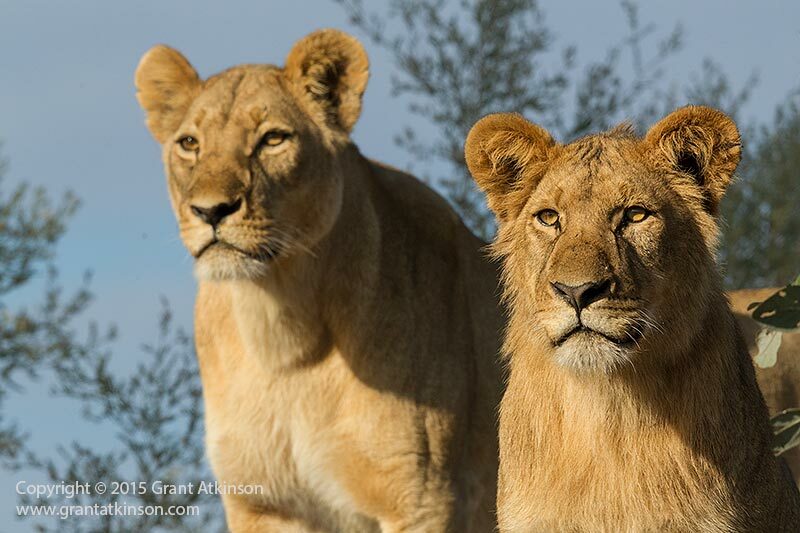 1x Professional photographers and guide leading the trip (Grant Atkinson). International airfare and/or other transportation between your home and Johannesburg, South Africa. Laundry on the Houseboat (the last 3 days). This group will be very small and exclusive (a maximum of 8 participants), so space is VERY limited. If this exciting safari workshop has your name on it and you’re excited by the thought of joining on this trip, then now is the time to register. 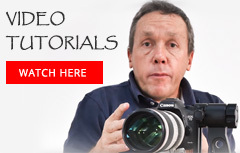 Remember, there will be limited space available for this workshop and when the spots are spoken for, that’s it. If you have any questions before registering, send an e-mail to Grant Atkinson.